A new chapter in the history of the Baylor Bears football program began in 2014 when the team moved into a new stadium on the campus of Baylor University. For 13 seasons the team played on the Baylor campus at Waco Municipal Stadium before a new off-campus stadium was constructed in the late 1940s. Built four miles from campus, the $1.5 million Floyd Casey Stadium opened on September 30, 1950 when Baylor beat the Houston Cougars. In Spring 2012, Baylor University announced plans to build a new football stadium on-campus along the Brazos River. The $250 million stadium has a total seating capacity of 45,000 that includes 3,000 standing room only seats. A $20 million shade canopy atop the upper deck shades up to 55% of the seats during the day. Located in the endzone is the 47 foot wide by 107 foot tall HD video/scoreboard. 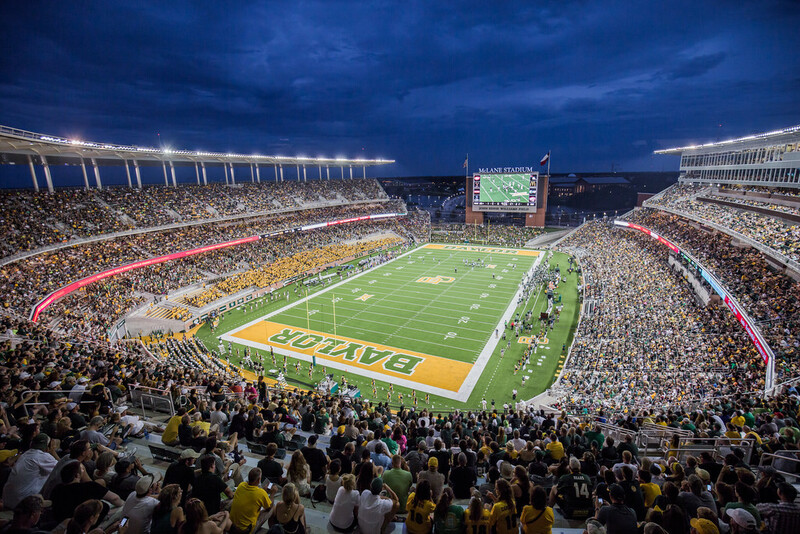 The Baylor Bears played their first game at McLane Stadium on August 31, 2014 against Southern Methodist University.